Yes, I take gummie vitamins. Stop laughing. Just when you thought it was safe to swallow that multivitamin, the 2010 Dietary Guidelines for Americans Committee (DGAC) pretty much trashes that idea. I take a multivitamin and vitamin D and iron supplements daily. OK, maybe not daily, but it is my intent to take them daily. I’m especially keen on vitamin D, because it’s been proven time and again that African-Americans in particular are seriously deficient in D. I had my levels checked last year, and they were in the sub-basement. I took prescription-strength D for several weeks, and I could feel the difference. Low vitamin D levels are linked to fatigue, depression, chronic pain, osteoporosis and much more. Darker-skinned people are more at risk for deficiency of this “sunshine vitamin” because the easiest way to get the vitamin is through exposure to sunlight. In people of color, darker skin blocks most absorption, and sunscreen blocks it completely. Of course, the DGAC used the words “healthy Americans” in that statement. So if you’re healthy, don’t take supplements, is what they’re saying. I can’t ever remember a time when I’ve not been advised to take an iron supplement. The committee rightly pushes “nutrient-dense forms of vegetables, fruits, whole grains, and fluid milk and milk products.” They should have added: “Just don’t cook your veggies to within an inch of their lives” as we sometimes do in pursuit of soul. When you’re trying to lose weight, supplements are a necessity. But even off a diet, I for one cannot take in the recommended daily amount of calcium without suffering gastronomic distress. 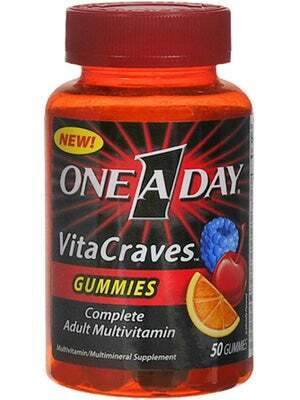 I’m just going to come right out and say it: The DGAC’s multivitamin stance doesn’t make a lick of sense. Sure, cut back on salt, sugar and fats. We know this. Eat your veggies. Got it. But I have to argue that the reason healthy people stay that way is because they take vitamin and mineral supplements.